I’m smiling because I know Miss Anna is celebrating her best friends birthday in Heaven today. My heart aches for Anna and Abigail’s friends ~ trying to understand loss is hard for me, I can’t imagine how hard it is for young minds to fully grasp a life without their bestie. Her faith is strong, she knows that her BFF is in Heaven and she celebrates their friendship every chance she gets. Tom and I are lucky to have such great relationships with the girl’s friends and we cherish those relationships more than I’m sure anyone could imagine. Anna is a lucky girl to have Makenna in her life. Celebrating Makenna’s birthday makes me happy today!!! 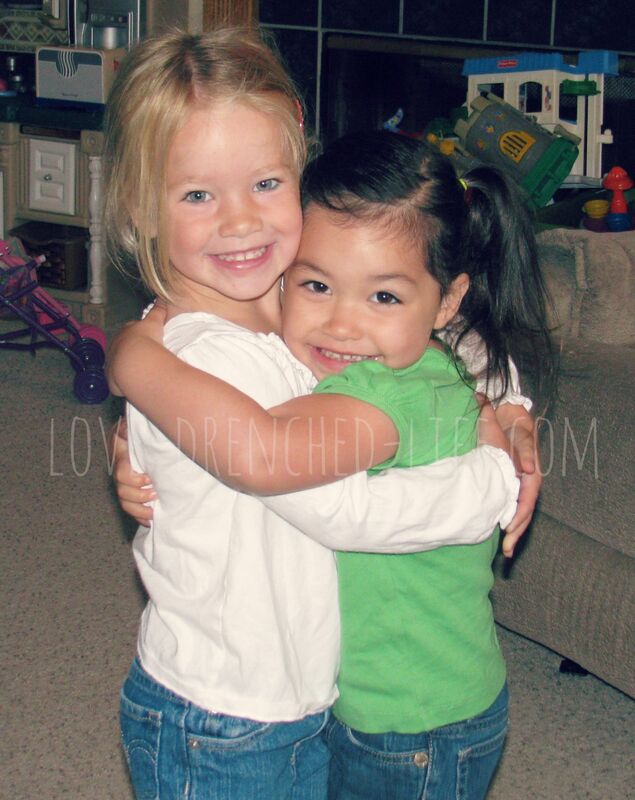 One of my favorite pictures of Anna and Makenna…so much love! This is also one of my favorite pictures of our girls! Although they are hugging in almost every photo I have of them, there is something special about this one :). So happy to be reunited at Mimi’s house after a long summer apart! I love you friend! Such a sweet friendship! Happy Birthday Makenna! You can certainly feel the love those two have for each other. Happy Birthday Makenna! Such beautiful girls. 💗 I’m so thankful we have Jesus and Heaven. And… A Happy Birthday to Makenna!